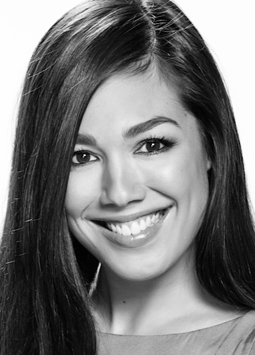 Originally from Adelaide, Melanie Vallejo graduated from Flinders University. After moving to Sydney Melanie scored the role of Madison in the US Disney production Power Rangers Mystic Force. Melanie theatre credits include Baghdad Wedding; for Company B, Gosling; for STC, Myth Propaganda and Disaster in Nazi Germany and Contemporary America; for Griffin Theatre Company, and The Return; for both the Edinburgh Fringe Festival and the Adelaide Fringe Festival. Her other performance at the Adelaide fringe Festival was in Brendan Cowell’s Morph. Melanie is currently starring in Network Seven’s hit series Winners and Losers. Other TV credits include the multi-award winning television series Packed To The Rafters, as well as Cops LAC, Lucky Dragon, The Jesters (Series 1 and 2), Dance Academy, All Saints, and the feature films The Dying Breed and The Sculptor. Not a stranger to the world of advertising and voice-overs, Melanie is most recognised for the Dare Ice Coffee campaign and her voice-overs for Stayfree, K Mart, Soleil. Own Studio – Has Source Connect.